Our Mega-Lift XR ton electric reach truck is mainly used for stacking of medium and high intensity, and it can be used to transport pallets and do stacking in warehouses, manufacturing industries and retail stores. Its loading capacity is about from 1500kgs to 2000kgs. It can work independently or in combination with a platform. And a platform is necessary for its long-distance transport. 1. Reach function: its fork can extend as long as 580mm. 2. Fork can tilt both forward and backward for safer load handling. 3. The mast and frame are dividable and exchangeable. 4. Germany Mannstaedt forklift profile for mast building. 5. SWISS brand or ITALY hydraulic pump. 9. Battery side extraction: the side gate and the battery cover are openable. Battery can be removed from the side, which makes it very convenient to replace and maintain. 10. Emergency reversing device in the handle provides improved operating safety. 11. Emergency power disconnection switch. 12. Braking system, applied with handle upright and horizontal position, assists in increasing its safety. 13. Built-in pressure relief valve prevent this 1.5ton electric reach truck from overloading, thus increasing its reliability. 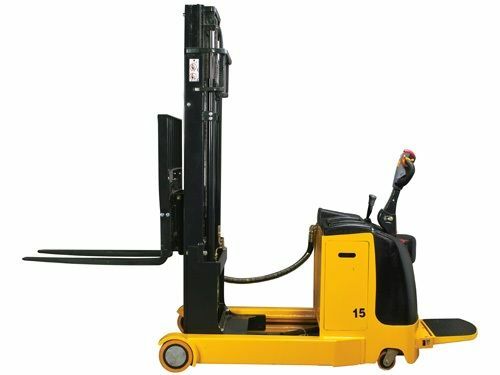 As a professional import of 1.5-2 ton electric reach truck from China, S2S Create & Engineering Co., Ltd also provide many other high-quality products for clients worldwide, including electric pallet truck, electric stacker, electric tow tractor, scissor lift, aerial order picker, manual warehouse equipment, customized truck, etc. Most of our products have passed the CE certification and ISO9001:2008, and they have been well received in as many as 40 different countries and regions. OEM and ODM cooperation relationships are welcome. 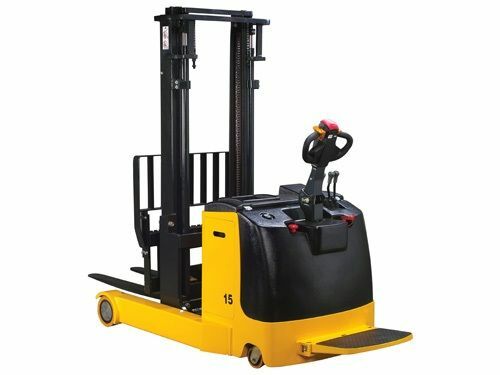 If you need 1.5-2 ton electric reach forklift, please contact us freely.